Information is now available almost instantaneously from multiple locations and diverse perspectives, through different tools and interoperable means, offering an onsite, online and mixed reality environment that facilitates learning more than ever before. Learning is a progression from knowledge acquisition, meaning and signification construction to transferable knowledge, signification, skills and competencies across fields and disciplines with local and global impact. The individual is free from space and time boundaries, flexible and interconnected and able to move without barriers within diverse teams and communities for personal or professional purposes. 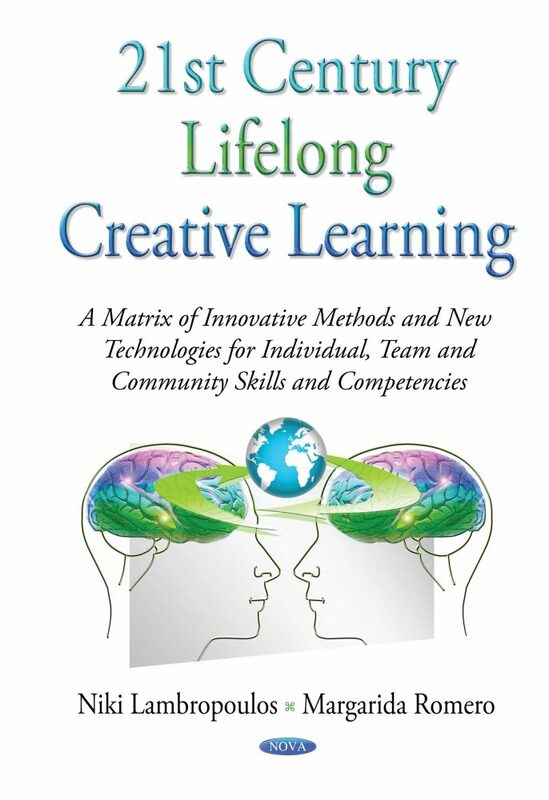 The 21st century Lifelong Learning program also involves the utilization of new methodologies as well as technologies to promote connectivity and intimacy; the environment needs to be useful and supportive for all. This collective construction of new knowledge, skills and competencies on a global, collective intelligence network, enables creative behaviors which influence everyone in close virtual or physical proximity. This book introduces a matrix of methods, tools and techniques referring to individual, team and wider social skills supporting the realization of one’s dream. Individual, small team, social and community skills and actual competences, aided by the ever-present new and emerging technologies, enable and support every learner to expand and thrive on the Lifelong Learning life course. Audience: K-12, Secondary and Post-secondary Education teachers. and professionals, Instructional designers, Educational Professionals, E-learning professionals and anyone interested in creative lifelong learning and new technologies, innovators, creative hubs. etc. It is very broad.